We are pleased to announce that we have been chosen to be Bostik Bloggers for 2016. What does this mean? 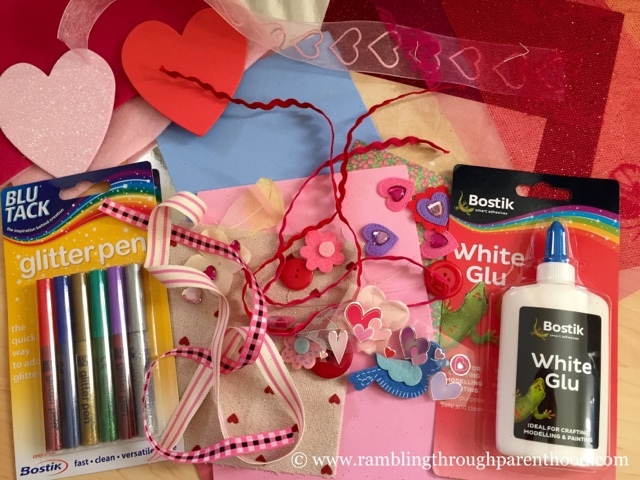 It means we will be sent a box of craft goodies each month and set a themed challenge to complete. It means I will have to get my craft hat on at least once a month (other than for the crochet project I am working on daily). It means my son and I will have time to create together using something other than nuts, bolts or bricks. The first craft box arrived a week ago. One look at the contents was enough to tell me the theme was Valentine’s Day. 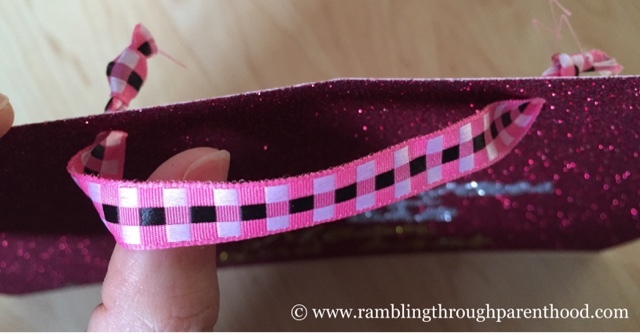 I relished the thought of using lots of pink and sparkle in the craft. It’s not often I get to use either when I am crafting with my boy. 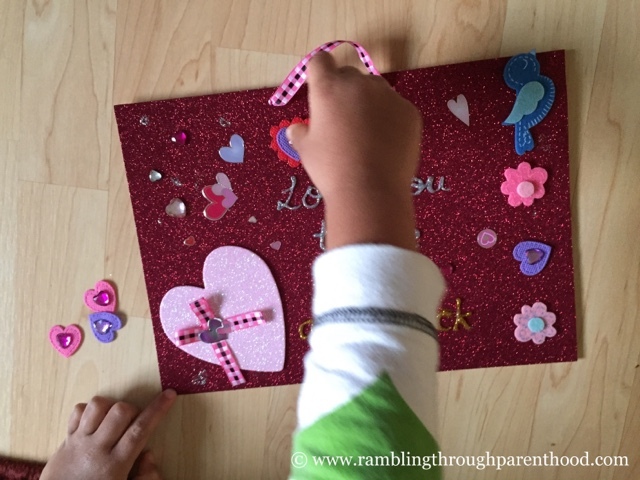 After much thought and a couple of ideas, we settled on making a really easy Valentine’s themed children’s wall art. 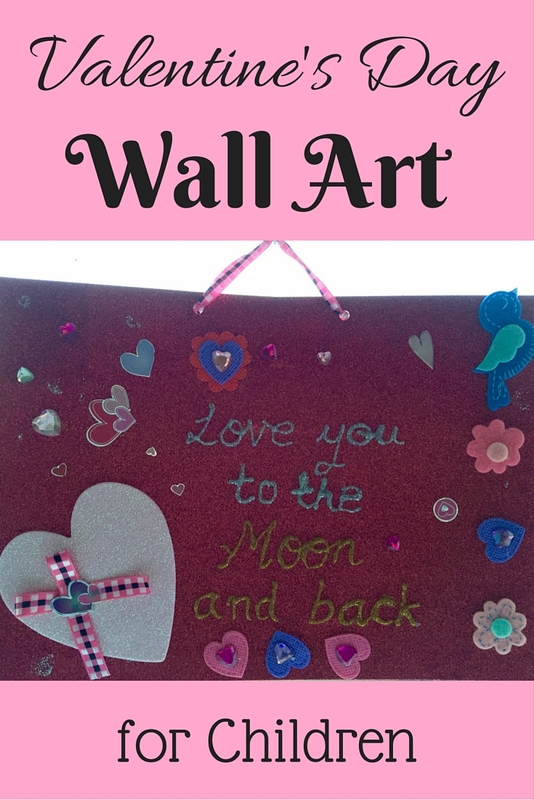 And here is how you can replicate the Wall Art we made. 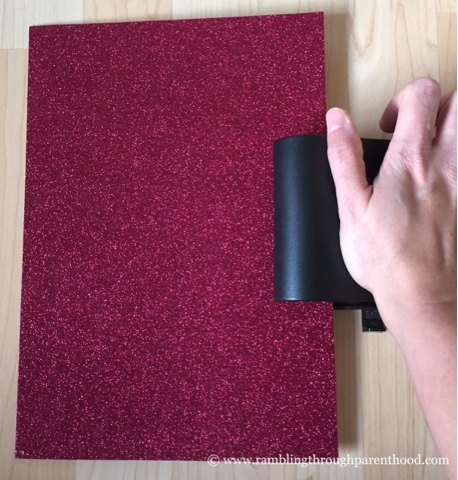 We started by punching a couple of holes at the top edge of the glitter paper. I threaded and tied a piece of lace through these holes. This was later useful to hang up our wall art. 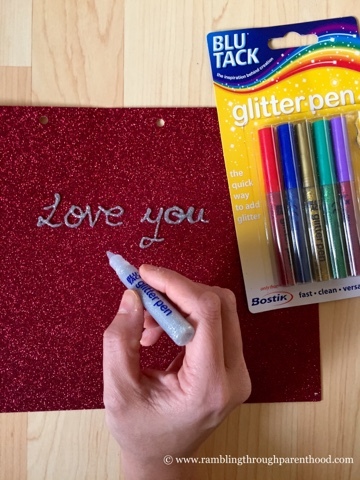 I used a silver and gold glitter pen to write one of my favourite quotes in the centre of the glitter paper. While the writing dried, we made a lovely pink bow out of some leftover lace and stuck it onto a large pink heart. Now J took over the project and set about decorating our wall art with lots of pretty stickers, flowers and diamond hearts. He even stuck on a little bluebird. That was it. Our wall art was all ready to be displayed. 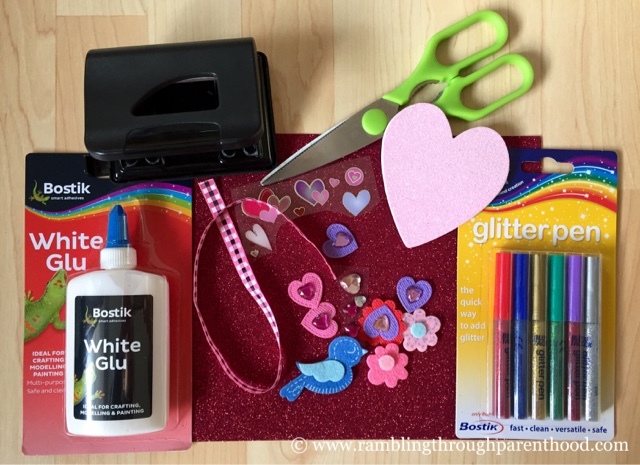 Why don’t you have a go creating this easy craft? 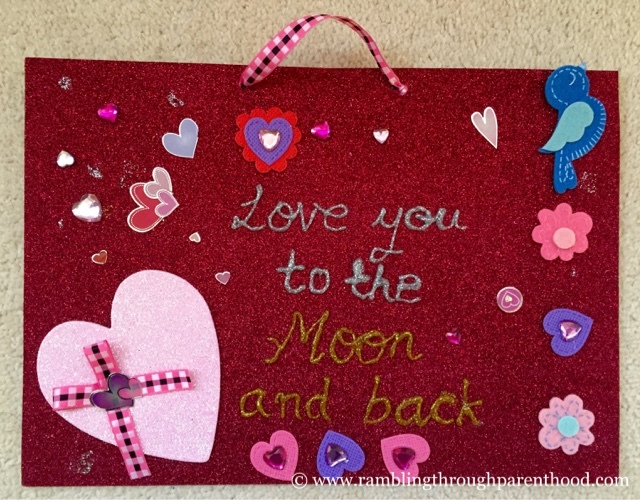 You can personalise it with a favourite quote or even a photo. Disclosure: We were sent a box of craft material to complete this challenge. This looks great! 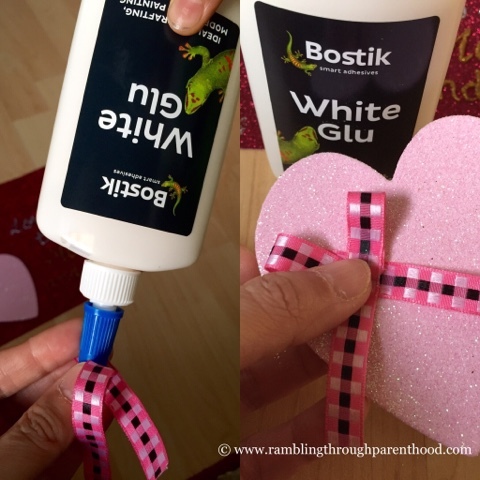 I love seeing all the Valetine's Crafts that are about at the minute- Boo and I are going to have lots of fun trying them all out! What a lovely thing to make! I like that the child can adapt to suit their own ideas.